On December 25, 2014, John writes: "Hi Mark. Merry Christmas to you and your family. The last few years I've enjoyed making my own harnesses . Have you ever tried circle hooks so you don't hook the smaller ones so deep? If so what size ?" Mark replies: Circle hooks are a great invention, but they are designed for targeting powerful fish like saltwater species and larger freshwater species including musky, catfish, stripers, etc. When these powerful fish bite the circle hook is set without having to physically jerk the rod. Circle hooks are most often used in combination with live or cut bait. It seems obvious that using a circle hook would work well for certain live bait fishing applications like fishing crawler harnesses for walleye. Actually, I find that circle hooks do not function well for walleye live bait fishing applications. exposed hook point, there is a better chance the hook will prick the tissue on the inside of the fish’s mouth. If the hook pricks the tissue when the fish turns and runs away it will essentially be setting the hook deeper into it’s mouth. hard tissue inside the mouth of the walleye with very little resistance. 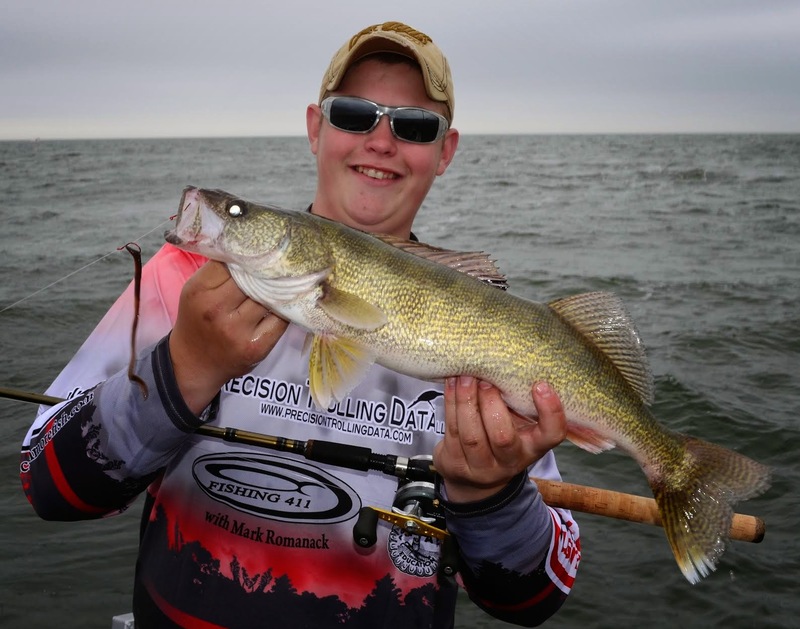 Using a circle hook would enable the walleye to more easily blow out the bait without getting hooked. If the fish turns to run with the bait in it’s mouth and then feels resistance, it can still blow out the bait without getting hooked when circle hooks are used. Saginaw Bay walleye. 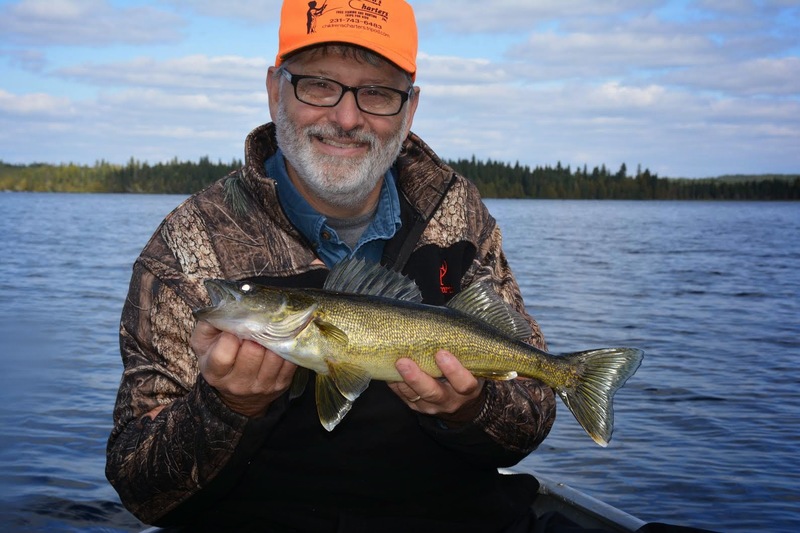 Big hooks help in hooking and holding more walleye. Red hooks like these are also a favorite of both Jake and Mark. My advice is to stay with a good quality beak style hook for walleye crawler harness rigging. I favor using two No. 2 size hooks when targeting open water fish on places such as Saginaw Bay, Lake Erie, Green Bay, etc., where the average fish is likely to be 20 inches long or greater. On in-lake lakes where the fish run small or where weeds are an issue, I will often rig my harnesses using a pair of No. 4 beak hooks. Using super sharp premium hooks or sharpening the hooks using a flat file is the best defense against a fish biting and then spitting out the rig.